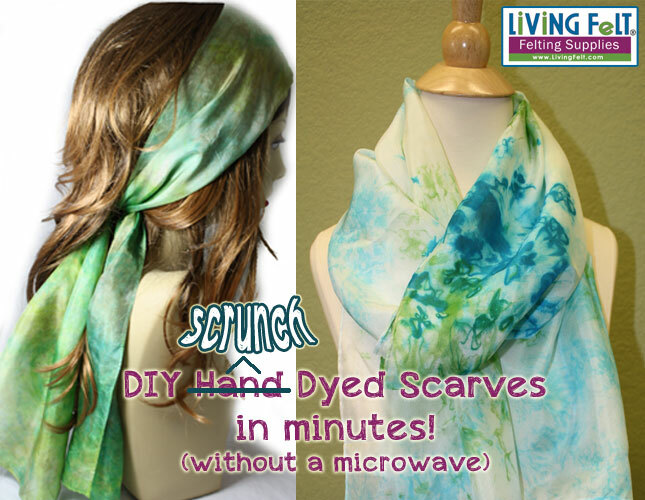 The colorhue silk dyes are perfect for dying your silk scarves or fabrics before nuno felting, and can also be used to dye wool. Simply mix with water and apply, no need to steam, no need to boil, no chemicals or vinegar to add. They are truly "instant set"! 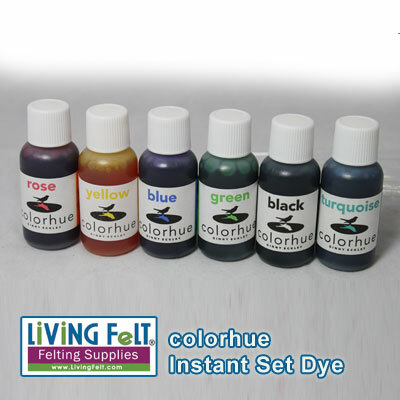 Colorhue dyes: Textile dyes are coloring agents that bond with the fibers of your fabric. 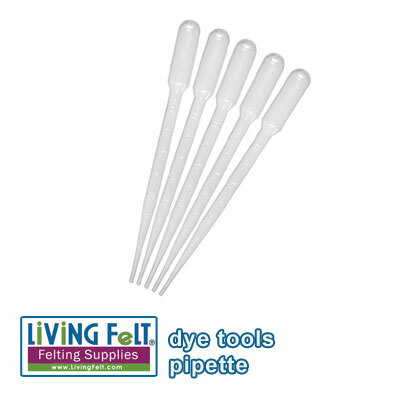 They are soluble in water and will not effect the feel of the fabric. 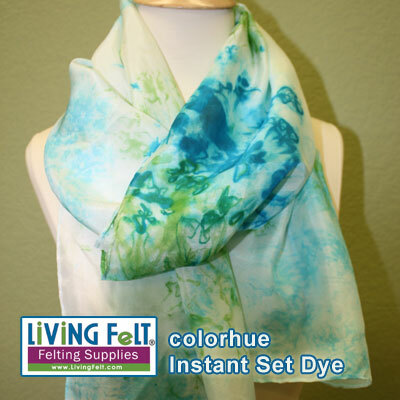 COLORHUE instant-set silk dyes are true coloring agents that penetrate the fibers of your silk. 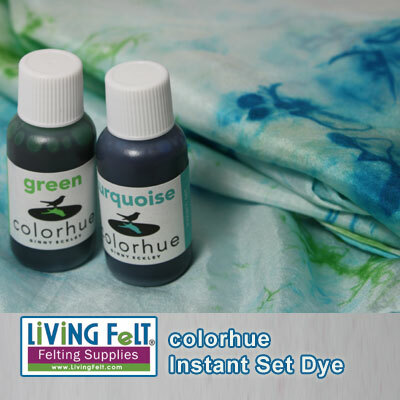 Colorhue dyes are fantastic liquid dyes that work best on silks. They come concentrated. Simply mix with water. No steaming is necessary. 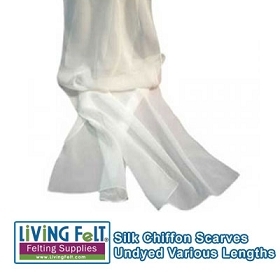 Silk Chiffon Scarf 11" x 59"
Silk Chiffon Scarf 14" x 72"
Silk Chiffon Scarf 8" x 54"